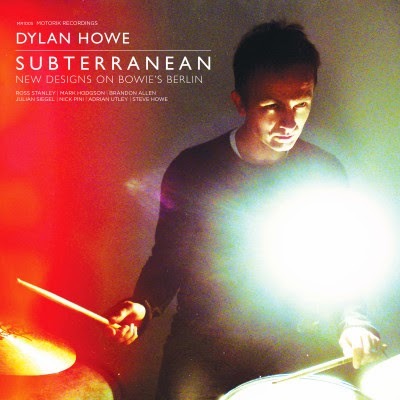 Drummer Dylan Howe has received widespread critical acclaim for his latest album, Subterranean, which explores the music of David Bowie from two 1977 albums, 'Low' and 'Heroes'. Howe brings his group to Halifax on October 1st and will feature special guest Andy Sheppard alongside Dave Whitford on bass, Ross Stanley on piano, Steve Lodder (+screened effects) plus Howe himself on drums. The album has been described as an audacious and astounding piece of work and received a 4-star review from the Guardian's John Fordham. More details can be found on the Dean Clough website and on Dylan Howe's website.